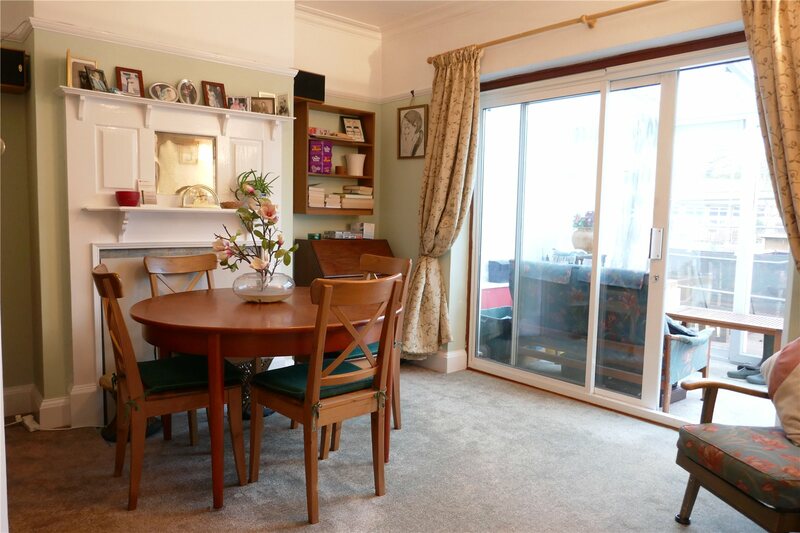 A spaciously proportioned semi detached house in one of the most sought after roads of popular Old Town. 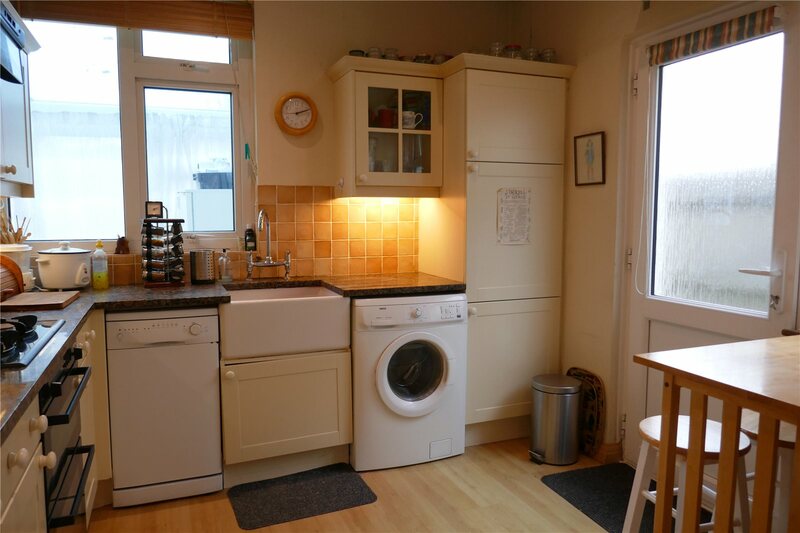 The property benefits from a 90' level and mainly lawned rear garden and the well proportioned accommodation has been improved with a kitchen refitted in recent years. 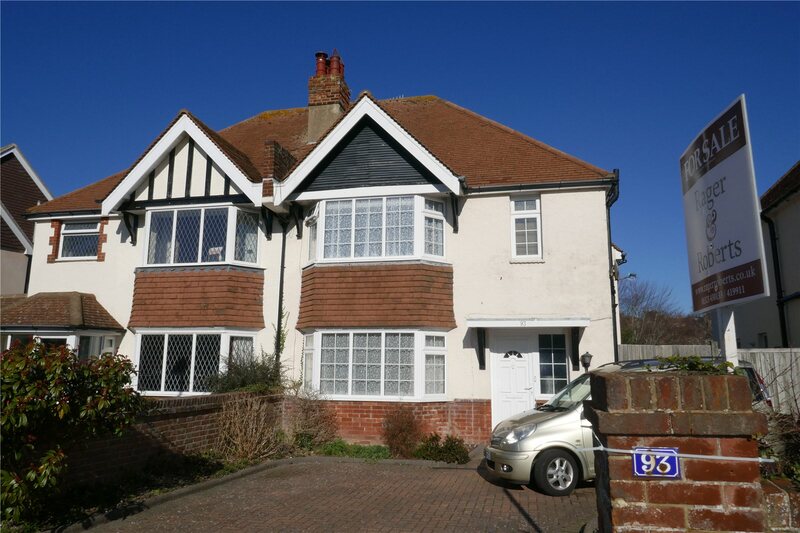 The property offers great potential for a family home. 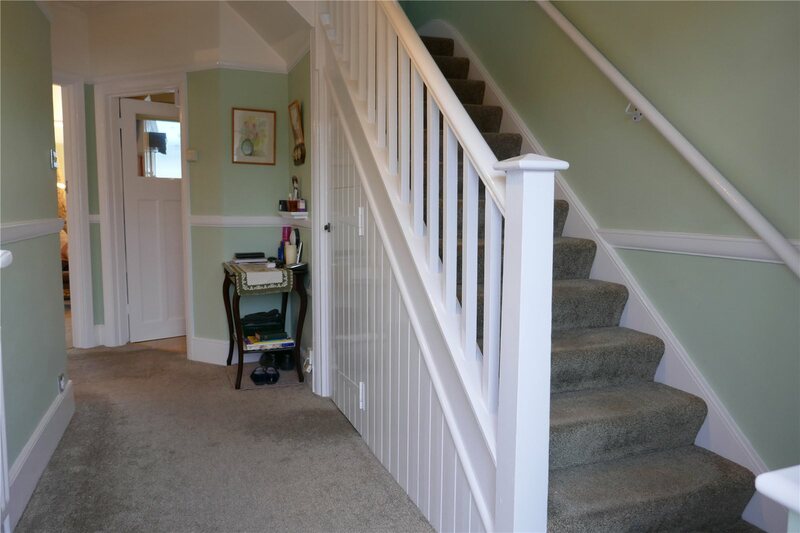 Large Reception Hallwith deep storage cupboard below the attractive staircase, radiator. 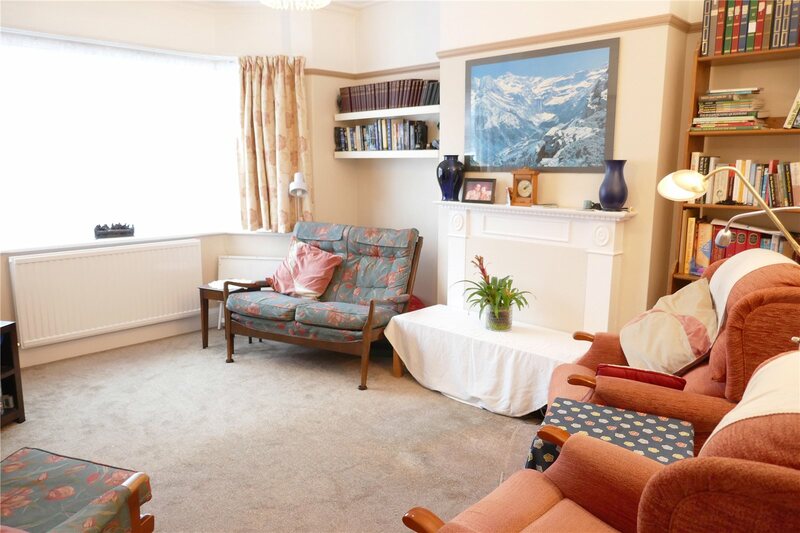 Sitting Room: 4.4m x 3.7m (14'4" x 12'3")with period style fire surround, radiator. Double Glazed Conservatory: 5.0m x 1.8m (16'4" x 5'10")with garden aspect, radiator and casement doors to the terrace and the garden. Kitchen/Breakfast Room: 3.5m x 2.9m (11'6" x 9'6")with range of polished granite working surfaces with drawers and cupboards below and matching wall cabinets, deep glazed butler's sink with mixer tap integrated Stove's oven and grill with four ring gas hob and filter hood over, plumbing for washing machine and dishwasher, concealed Worcester gas fired boiler, eye level refrigerator and freezer unit below, deep shelved pantry cupboard with window, double glazed door to the garden.The handsome staircase rises from the hall to the First Floor Landing. 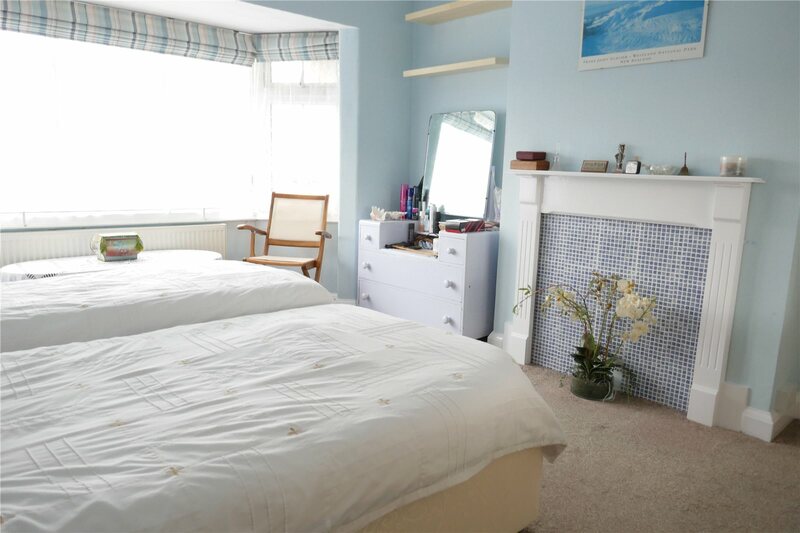 Bedroom 1: 4.5m x 3.8m (14'10" x 12'5")commanding a westerly view towards the downs, period stile fire surround, radiator. 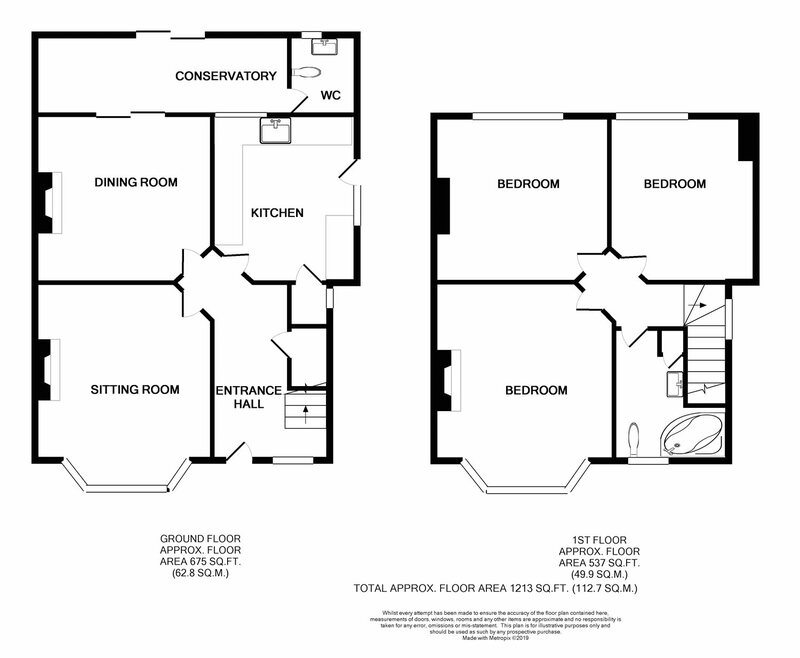 Bedroom 2: 3.5m x 3.5m (11'6" x 11'4")excluding the depth of the recesses flanking the chimney breast, radiator. Bedroom 3: 3.5m x 2.9m (11'7" x 9'6")with radiator. Bathroomwith white suite comprising panelled bath with independent wall mounted shower fittings and hand shower attachment, wash basin with cabinet below, low level wc, linen storage cupboard, heated towel rail, tiled walls and floor, window. 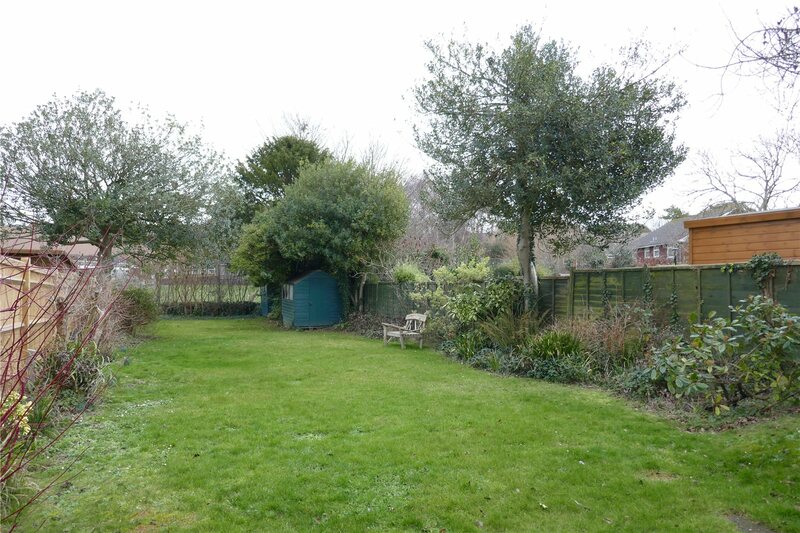 OutsideA charming feature of this property is its large and level rear garden which extends to a depth of about 90'. There is a wide decked terrace flanking the rear elevation and whilst the garden is lawned for ease of maintenance there are a variety of ornamental trees and shrubs. 2 timber garden stores. 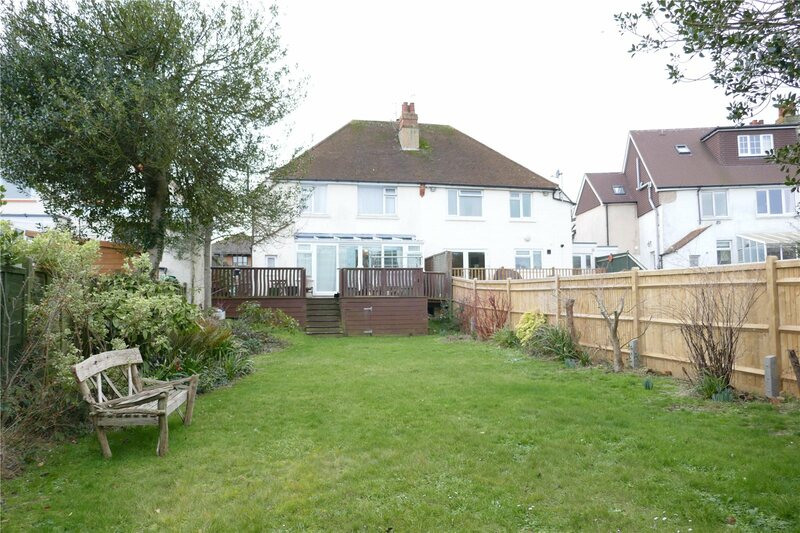 Gated side access.The front garden has been arranged to provide generous off road car parking and turning space.